Here is your chance to experience Milan like you never have experienced it before, while helping to feed the area’s hungry. It’s The Charlottesville 29 Restaurant Auctions, presented by McGuireWoods. Along with all of the other restaurants in The Charlottesville 29, Milan has created a signature experience available to whoever pledges the highest donation to The Blue Ridge Area Food Bank. Milan is generously donating the entire experience, which means the winning bid goes directly to the food bank. Each dollar donated is enough to provide four meals to the area’s hungry. So, a winning bid of, say, $1,000 would mean not just a wonderful meal for the winner and their guests, but also 4,000 more meals for the area’s hungry. Explore India right here in Charlottesville. Born and raised in India, Milan chef-owner Charanjeet Ghotra has been in the restaurant industry ever since he came to the United States. 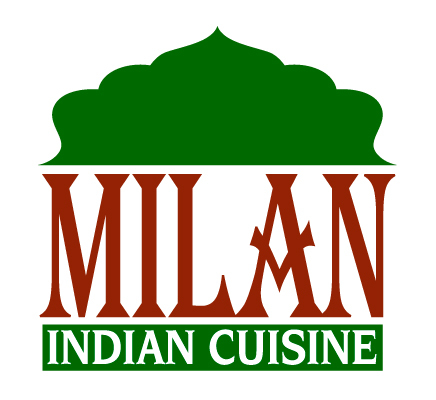 Unlike many Indian restaurants in the United States, though, the food he serves at Milan is not limited to the ubiquitous cuisine of his native Punjab, but instead draws on influences from throughout India. For the auction winner and nine guests, Ghotra will create a feast showcasing the many different regional cuisines of India, highlighting his favorite dishes from each region. The wide-ranging, family-style journey around India will include Ghotra’s regional favorites from the regular menu, plus some off-menu surprises. With plenty of wines and beers to accompany the food, it’s an all-inclusive Dream Feast Around India. Note: The winner will schedule the event at a mutually convenient time for Milan. Bidding for the Milan auction ended on July 2, 2016. One year ago today, at MarieBette Cafe & Bakery, I had my first brioche feuilletée. I enjoyed the flaky French pastry so much that I wrote a glowing review that very morning, joking that it might be more popular if it had its own publicist. In today’s era of social media food crazes, I imagined, the hard-to-pronounce brioche feuilletée would be a sensation if only it had a more hashtag-friendly name. Since it resembled both a brioche and a donut, I suggested “bronut”, a revolting name posed as a cheeky alternative to the croissant-donut hybrid from renowned pastry chef Dominique Ansel. The cronut, after all, had become so popular that it needed one of those ®’s by its name to signal it’s really special, or at least valuable. So, why not the “bronut”? LOL. Oddly enough, MarieBette did invent a version of the brioche feuilletée warranting its own name, but not until after the bronut craze began, when MarieBette started filling their brioche feuilletée with things like orange creme or pumpkin mousse. I am not aware of anyone ever doing this before, and it was genius. In my view, MarieBette’s filled brioche feuilletée improve on the original. And, I’m not alone. One top local chef called it the best thing he ate all year.